The Honu (Turtle) Bungalow is a spacious, air-conditioned* 3 bedroom/2 bath home with a comfortable living room and dining area. 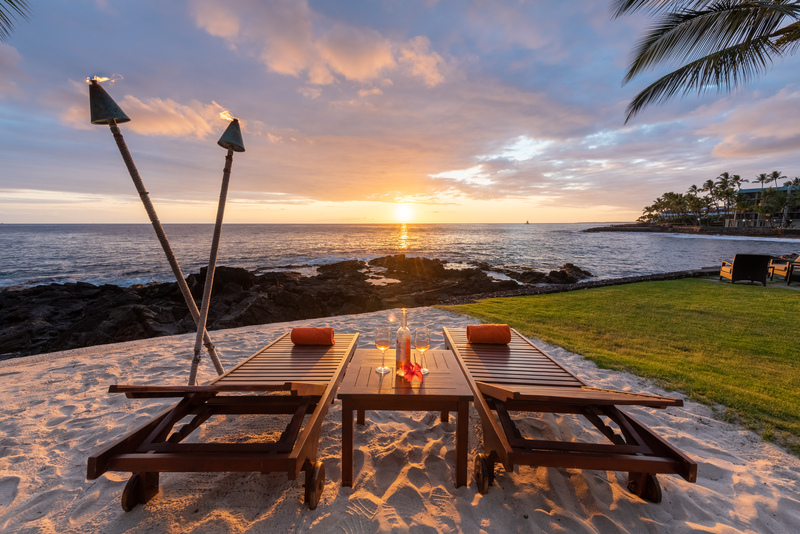 This Kona "home away from home" lends itself to a relaxing fun vacation on the coast of the Big Island of Hawaii, and provides sleeping accommodations for up to 8 guests. The Honu bungalow's designer kitchen is beautifully appointed with stunning mahogany cabinets and beautiful granite countertops. It also features stainless steel appliances (refrigerator, dishwasher, oven/gas cooktop combo, microwave oven) as well as a stainless steel sink. The welcoming Honu Bungalow family/living room has a queen-sized sleeper sofa, as well as a high-definition flat screen TV with cable and a stereo system. Both Honu bathrooms have mahogany cabinets and spectacular slate countertops, floors and walls. Both the guest and master bathrooms have custom mahogany cabinets and spectacular slate countertops, floors and walls. Relax and enjoy your morning coffee or barbecue some Hawaiian delights outside on the Honu Bungalow's slate floor Lanai. 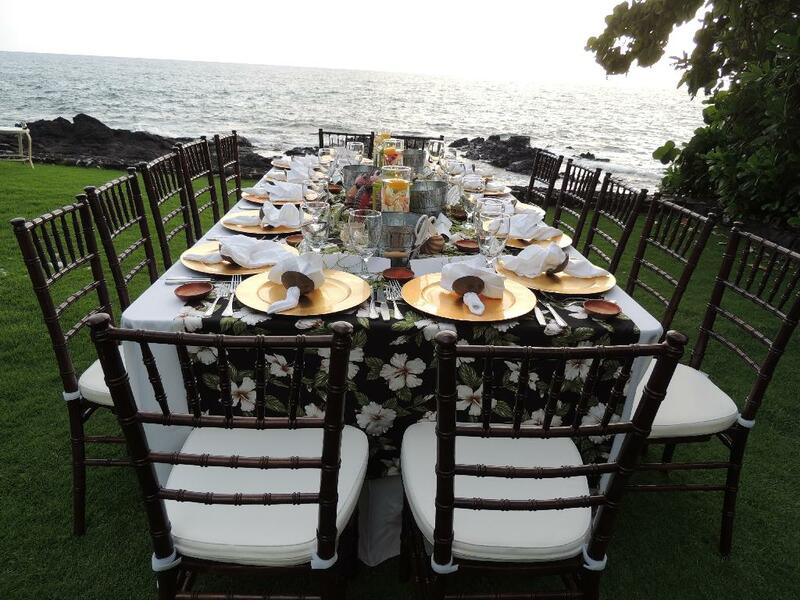 Outdoor furnishings include a main sitting area and a large outdoor dining table with 6 chairs. Honu Bungalow guests are invited to share the oceanfront pool and jacuzzi on the common grounds, and have access to on-site laundry facilities. 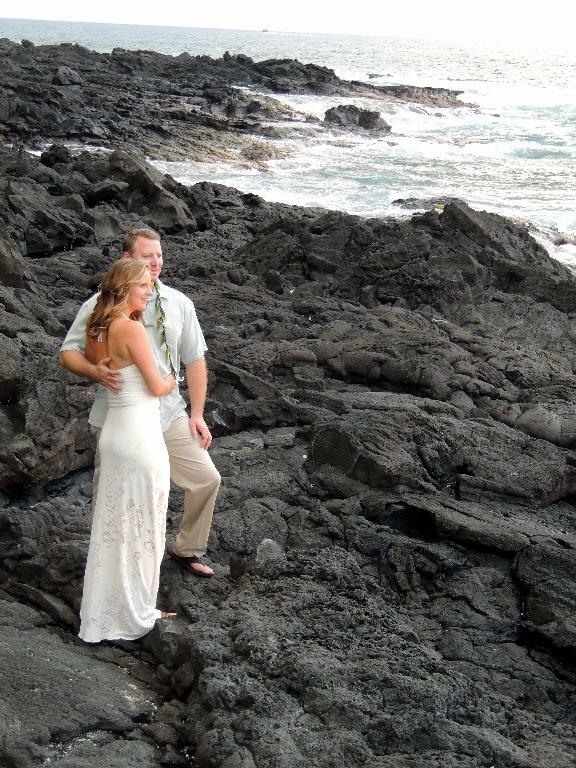 Conveniently located, we are just 1 mile south of downtown Kailua-Kona, and 7 miles south of Honokohau Boat Harbor. This is a non-smoking home which can accommodate a maximum of eight (8) guests. Pets are not permitted. A cleaning fee of $480.00 is charged per reservation, which includes pre-cleaning (day of arrival) and extensive post-cleaning of the bungalow after your visit. Due to the staggering cost of electricity in the Hawaiian Islands, we charge a daily air-conditioning fee of $59.00. 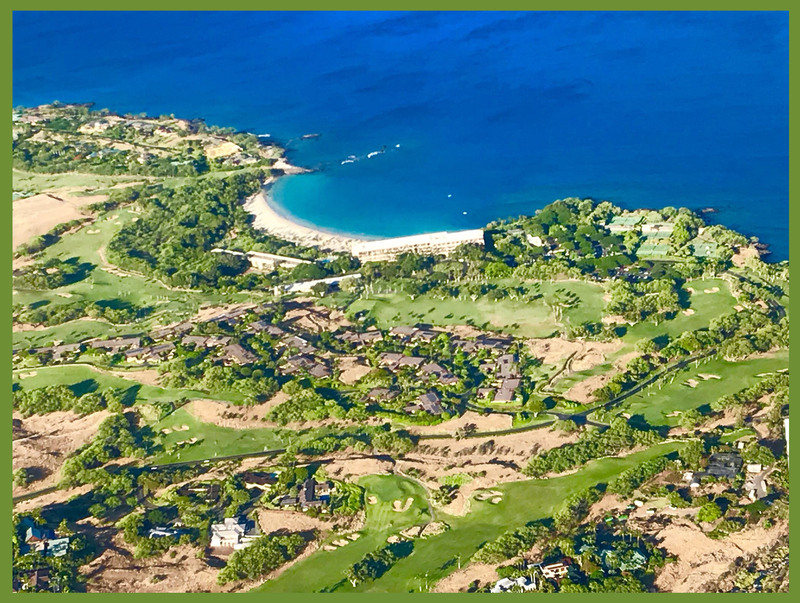 Upon booking, all reservations require a $1,000.00 refundable security deposit, an $89.00 non-refundable booking fee, along with 50% of the reservation total. The balance of 50% is due 120 days prior to check-in.